You’ve picked your destination; your tickets are printed, now it’s time to pack. But if you are anything like me, you’ll find it challenging to bring all your favourite products along with you. I envy those travellers that sail through the airport with a half-empty plastic bag; those who can bring the bare minimum products with them on a holiday. To compound the challenge, I rarely travel with more than a carry-on bag, and even if I do have the luxury of a checked suitcase, the quality of products such as perfume can be compromised when travelling in the harsh conditions in the plane’s hold. Not only will you usually get small, security-friendly sizes, but often these boxes contain products that are slightly more high-end than the ones you pick up from the tubs at your local chemist. Most importantly, there will often be perfume samples included, always the biggest beauty travel challenge! 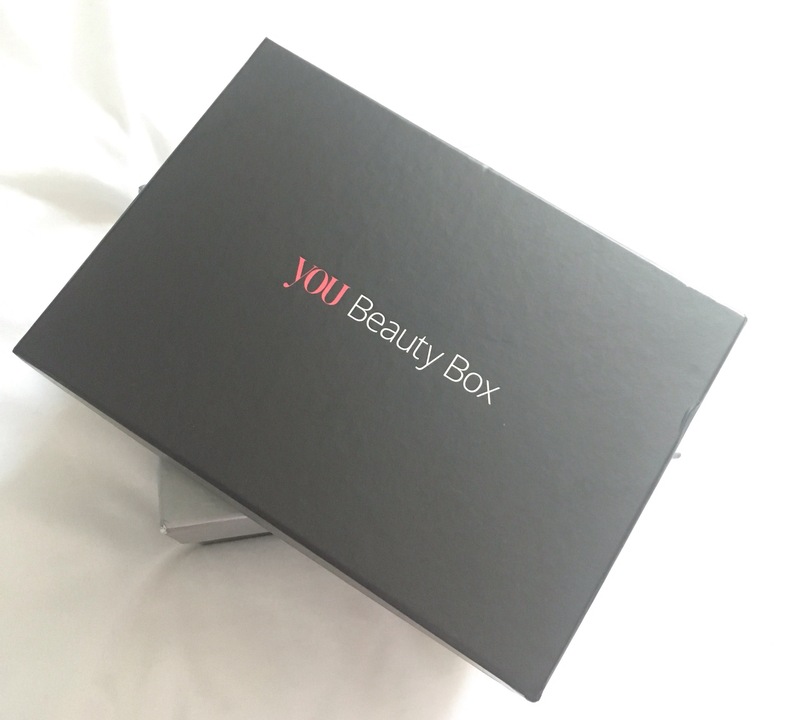 I recommend using one that lets you pick your own products, such as Latest in Beauty, which lets you customise your own box (of 3, 6, or 9 products) and has a wide variety of holiday-sized products. They also do collections, and you might just find a ready-made box with all your travel essentials. If you’re not in the UK, checking out the sample sizes in Sephora by the checkout can be a great shout. But otherwise, it is possible to get some great samples from various places, and sometimes they are even free. Ask beauty counters in a department store if they have any perfume samples or see if you can trial a new foundation. Check out free online samples such as Feel Unique’s Pick’n’mix scheme. Where possible, avoid liquids all together in favour of solid or wipe versions. Trade the micellar water for make-up wipes. Consider a solid deodorant or deodorant wipes over spray and roll-on. Lush does some amazing solid products, including solid shampoos, conditioners, perfumes, and more, and you know they will be earth-friendly and smell amazing. If you know the airport you are leaving from pretty well and know there’s a chemist on the other side of security, opt to buy things such as hand sanitizers, deodorant, body wash, or any item where you don’t have to have that certain brand. Save your bag for those special products you just can live without. Avoid being “that” person holding up the security line by trying to bring full sized perfumes and shampoos through in your hand luggage. Always check the sizes, keeping in mind the 100ml (3.5 oz) limit you have to follow. Anything over can be filtered into flight-friendly bottles, available everywhere from Primark to Boots, even Poundland has them. But I find even these can take up a lot of room, and what about those products you only need a little bit of? Grab some mini travel pots. Although I’ve had a lot of these crack and leak, and actually found that Systema Dressing to Go Mini Pots (new and unused) or even contact lens cases (don’t reuse after) work a lot better! Packing products that have multiple uses can also be a great way to save room. For example, coconut oil can be used as a moisturiser, eye makeup remover, deep conditioner, even a shave gel! Aloe is also a great one to pop in your bag to act as a moisturiser and post-sun soother. 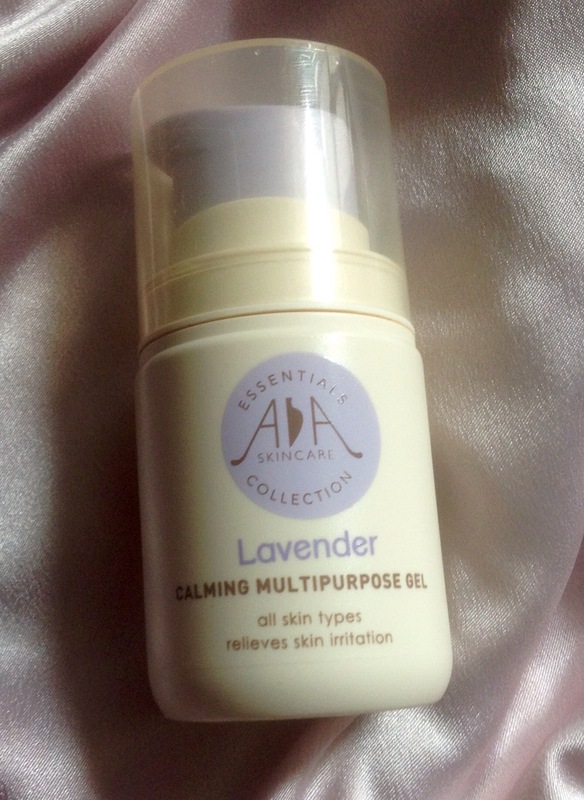 I also always try to fit in my go-to product for skin troubles: AA Skincare’s Lavender Calming Multipurpose Gel. Not only is it natural and great on faces that get irritable in the dry air, but its also amazing on sunburns, insect bites, or any other skin issues that might pop up on holiday! Still Have Room? Pamper That Skin! You’ve packed everything up and you still have some room (tell me your secret now please!). If that’s the case, it’s time to give your skin some extra love after it’s been exposed to yucky, drying plane air. Try a hydrating spray, such as M.A.C. Mineralize Charged Water for a quick refresh, or treat your skin to some deep moisturising with your favourite night cream. 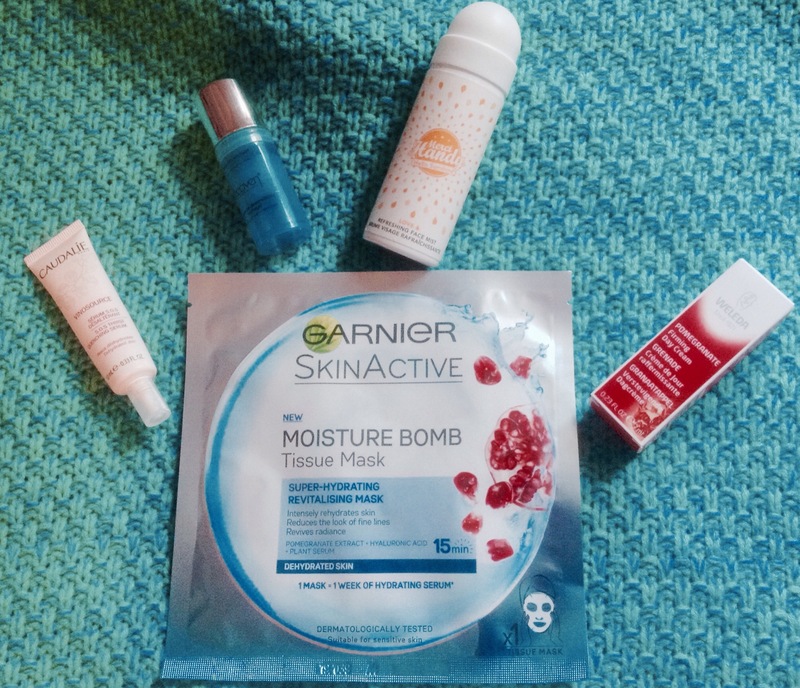 If you have run out of room (I feel you), grab a deep moisturising tissue mask like Garnier Moisture Bomb Tissue Mask. Guess what? It doesn’t count as a liquid! 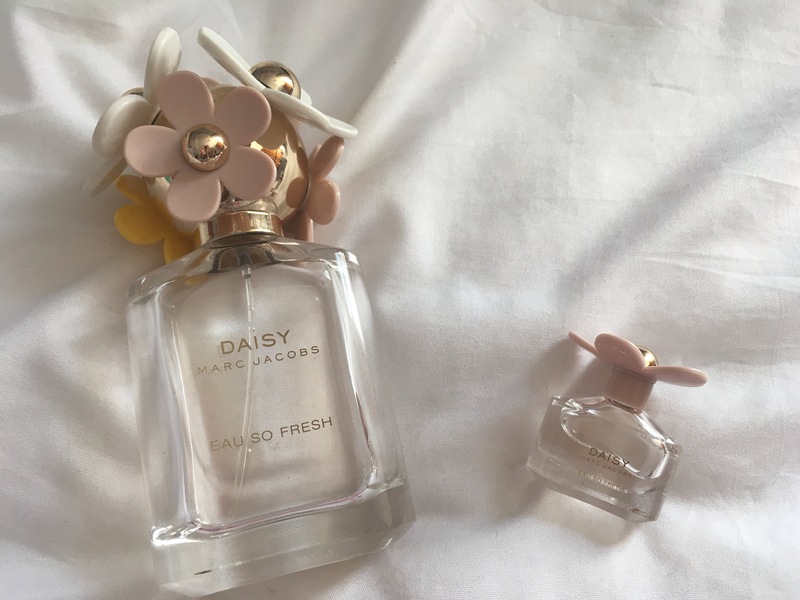 Daisy Eau so Fresh, Marc Jacobs (4ml). Pocketbac, Bath and Body Works (29ml). bareMinerals bareskin pure brightening serum foundation (3ml). Pomegranate Skin Cleansing Bath & Shower Gel, Crabtree & Evelyn (50ml). AA Skincare Lavender Calming Multipurpose Gel. 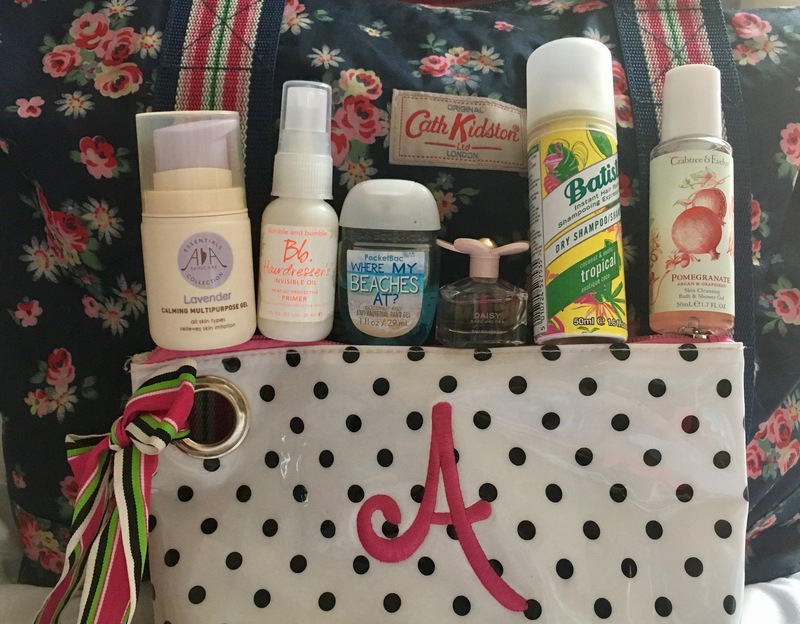 So what are your carry-on packing tips? 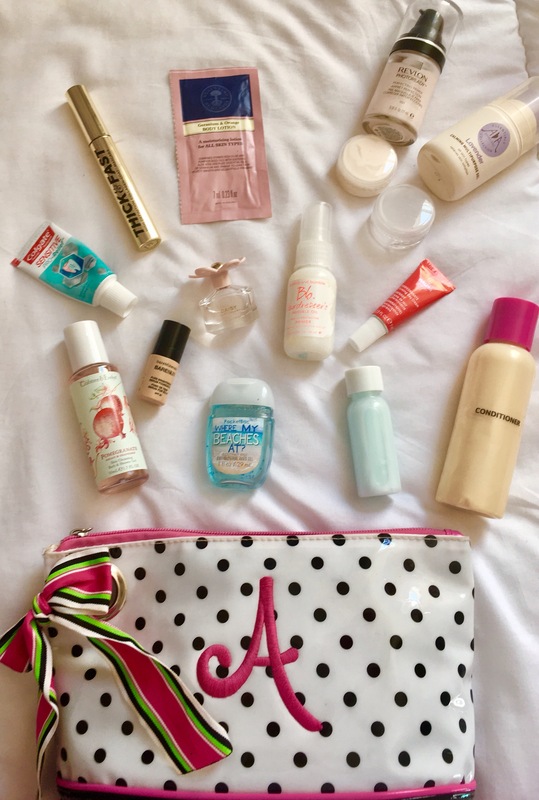 Which must-haves are always in your bag?